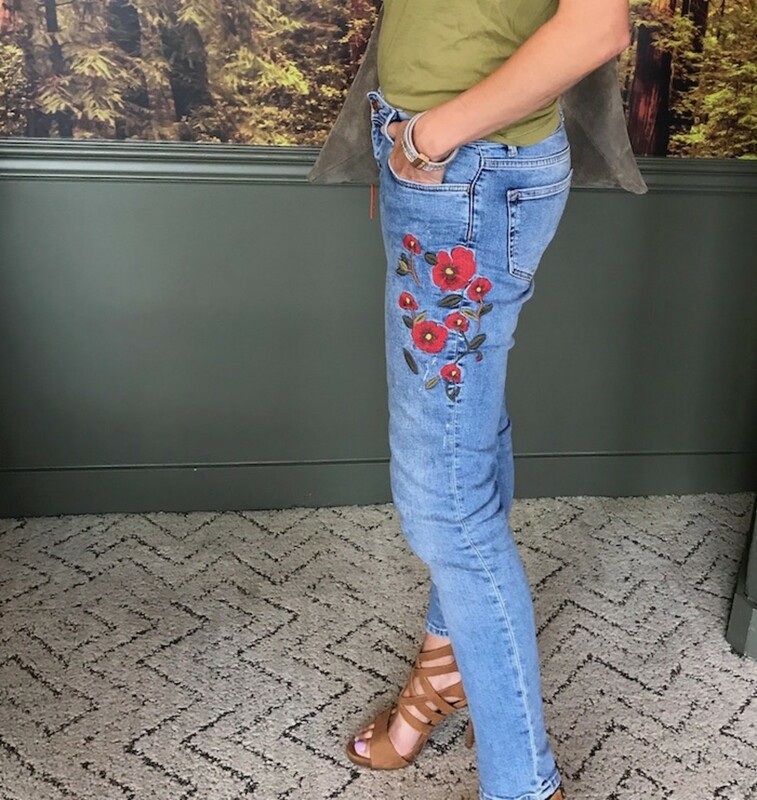 This mom is excited to wear all the summer trends—from boho chic to embroidery, I&apos;m ready for them! 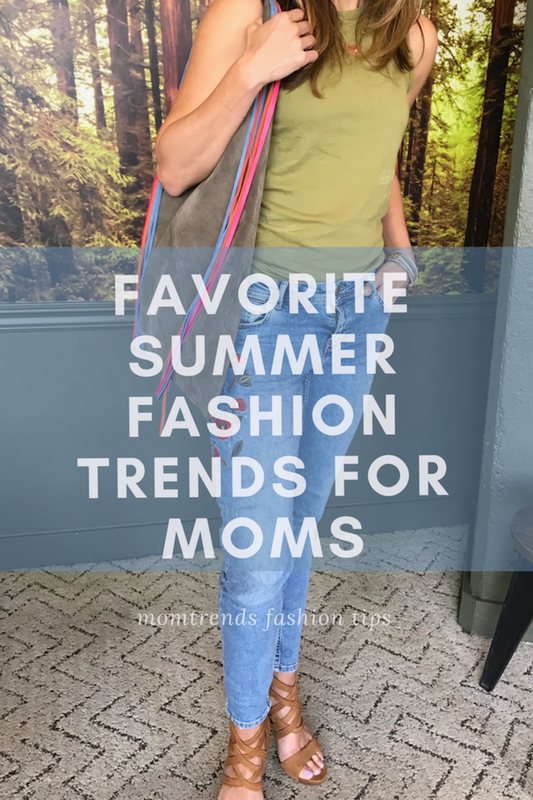 Today, I&apos;m excited to share a new favorite summer fashion trends for moms—great bags from Shwetha. But first more about the outfit. Not too long ago, I shared this rant about Zara on Instagram. I have a love-hate relationship with the place. I did pick up this great pair of jeans there (it took forever), and on a previous trip a few years ago, I scored the top. Here&apos;s the tip...I bought the top in the kid&apos;s section. If you wear a 2 or a 4 you can fit into a large kids&apos; size at Zara. The top was under $10! The bag... well, that&apos;s not $10. But it&apos;s also a statement piece and it&apos;s got a story. You know I love to support the Mom Boss community. Shwetha Ringel is a new-to-Brooklyn mom. She grew up in India and her bags have an international flair. I&apos;m wearing the Johanna tote (named after Shwetha&apos;s sister-in-law and my neighbor in Brooklyn). This is the ultimate chic mom tote. 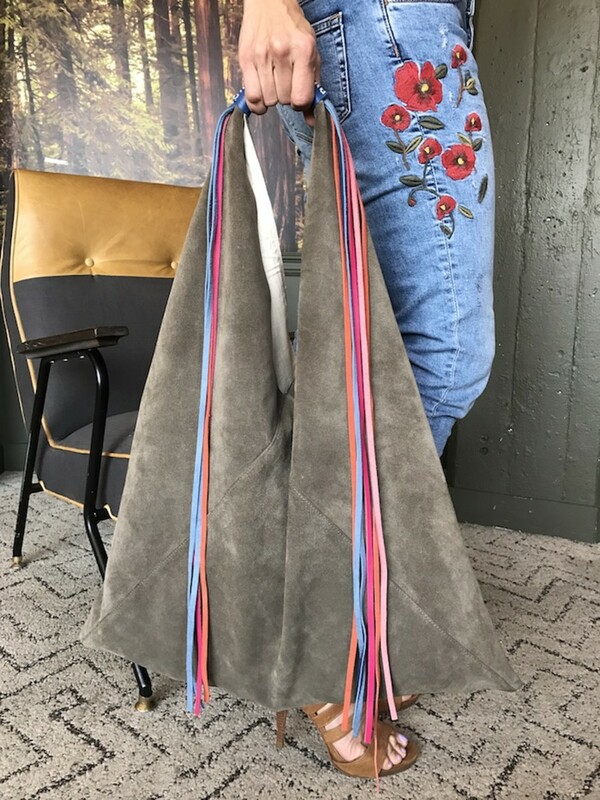 The bag is made of super-soft suede and will fit your busy mom life to a T—without a hint of frumpiness. This carryall can go to the office to a dinner out with your BFF&apos;s in style. Don&apos;t you love the bright tassels?! I think they go perfectly with my Zara denim (a score for $39!). Yes, the bag is more expensive than the jeans, but that&apos;s because of the craftsmanship. Each bag is hand-crafted and these bags stand out in a crowd. I&apos;ve styled the look two ways—with higher heels (for a date night) and then with flats. Which one do you like better? The flat sandals are from the cabi summer collection and the heels are from a splurge nearly a decade ago! Great shoes, a great bag and cheap denim...that&apos;s the way I plan to tackle summer travel. Not everything needs to be precious and pricey. Mix the high and the low ladies. Splurge a little here (on bags) and save a little there (on denim) and you&apos;ll be building a wardrobe that works for you!